Difference between revisions of "10393 manual"
10393 camera system (these 3D models might be helpful). No extra drivers are required on the host PC to operate the camera system. Can be operated from any network device with a browser. The default boot is from the on-board NAND flash. More information on available boot options and recovery boot. For a production system with rare changes to the file system it is recommended to boot from NAND flash. Changes to the file system require running an extra sync command (overlay_sync) followed by a proper reboot. For development, one can boot from the μSD recovery card and use it - saving changes does not require extra sync actions. Camera's software includes gcc compiler - relatively small projects can be compiled on the camera. The default IP address is set in the /etc/elphel393/init_elphel393.py. 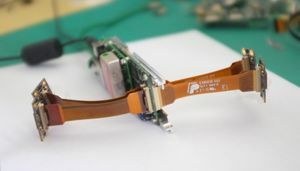 Use a microUSB-USB cable to connect console μUSB port (see Fig.1) to PC - the cable's end should be thin enough otherwise interferes with an inserted mmc (multi media card = μSD card). 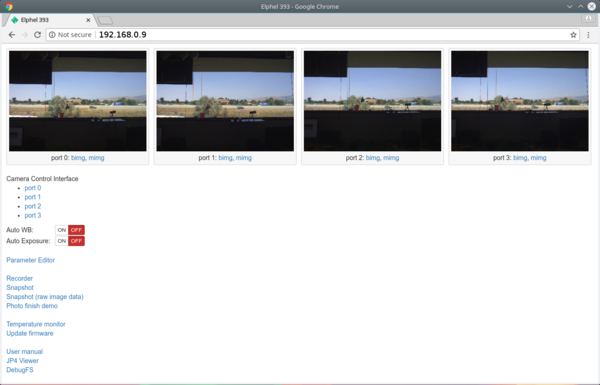 The page contains links to camvc user interface for each individual camera port. 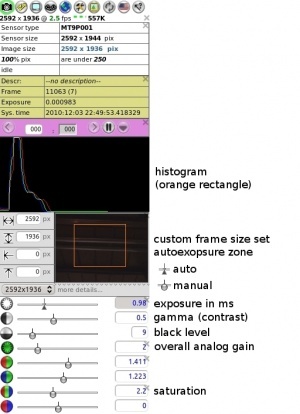 change parameters like image format, resolution, auto exposure, auto white balance and more. Alternative way to change parameters is described below. important: Event logger (GPS, IMU, IMG, EXT) recording is started/stopped separately. See instructions below. To extract data from a raw partition use dd or these scripts to get the data and split it into images. Follow this link for details. 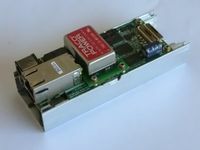 Can record to an mmc partiton or usb. If the prefix parameter, which is absolute path + prefix, for a channel is not set the file will be written somewhere to rootfs. if prefix is empty then the absolute path must end with a slash. Follow this link for GUI description. The FPGA-based Event Logger uses local clock for time-stamping data from Image Acquisition, External (Trigger) Input, GPS and IMU. # A port bit mask is set by adding a * to a parameter name, like *PAR1 - it is individual for each parameter. #   0xf - the parameter's new value will be applied to all ports. Note 1: if the parameter's value is specified in URL it will be applied. The call can have mixed specified and unspecified parameters. Note 2: The new value is read on the next call. Modify /etc/network/interfaces, sync the changes to the file system and reboot (or rerun init scripts). For firmware 20180511 or older, follow these instructions to fix network configuration (= disable setting ip address via /etc/elphel393/init_elphel393.py). FPC cables - click for available lengths. [SOLVED] Vertical artifacts in jpegs. Images are ok at 100% quality. Fixed, testing. [SOLVED] http://192.168.0.9:232x/noexif/mimg - multipart jpeg displays corrupted frames from time to time. Reason: network bandwidth? [SOLVED] Sometimes on power-on (NAND flash boot) cannot mount the card's rootfs partition. Kernel Panics. Power off/on. Soft "reboot -f" works ok.
[SOLVED] Changing exposure/quality/gains - can corrupt images - needs testing. [SOLVED] After rewriting rootfs to μSD card - some of the cards get a corrupted partition - re-partitioning (reformatting?) solves the problem. most of the changes are now moved to tmpfs but something might have been missed. upper layer is mounted to "/"